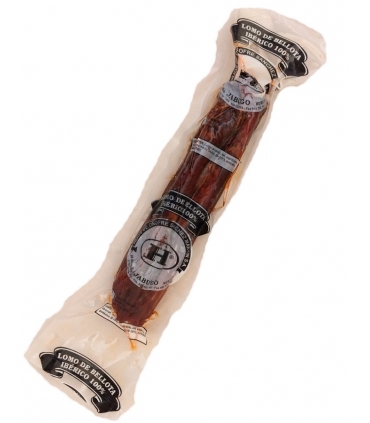 Presented here as a 100% pure Iberian version, acorn loin sausage is a product made from the pig's loin. The meat is seasoned before being stuffed into gut casings and cured. 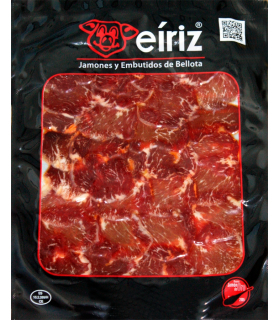 This product has an approximate length of 50cm after curing. It is eaten in thin slices. 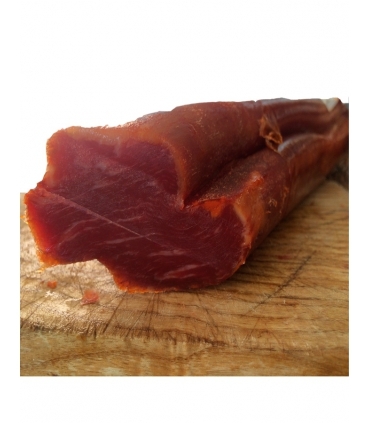 Loin sausage is made with the whole loin of the Iberian pig, which is located under the ribs, next to the spine. Once this cut is extracted, it is marinated in spices (especially paprika) and put in a gut casing to begin the curing phase (approximately 90 days). The loin is a very lean, tasty meat which, like ham, is finely veined with fat. Loin sausage is one of the finest sausages, especially this 100% Iberian product: made with meat of purebred Iberian pigs, raised in the outside in their pasture and fed exclusively with acorns during the season. Without a doubt, a true delicacy. 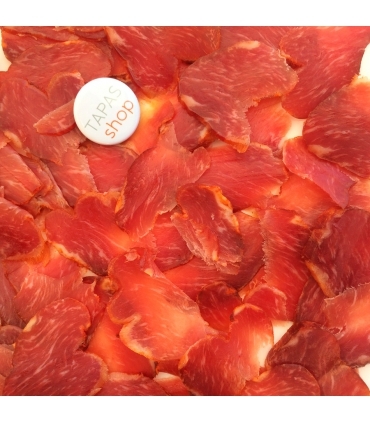 Since the beginning of 2014, the Hijos de Onofre Sánchez Martín family has adapted the new standard of quality for Iberian cured meats (royal decree 4/2014). 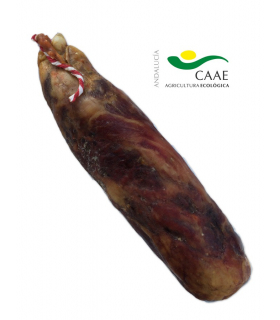 This product carries the black label (100% Iberian), with a recipe similar to its traditional acorn loin sausage. 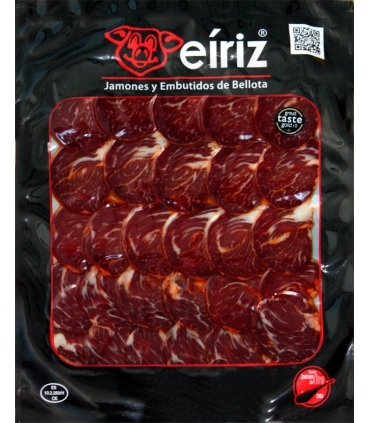 We also offer another 100% Iberian loin sausage; as a whole piece or pre-sliced - both vacuum-packed.